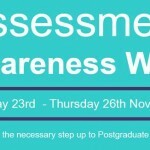 Monday 23rd November to Thursday 26th November is Assessment Awareness Week at the London campus. The aim of this week is to raise awareness of the required academic skills of Postgraduate level study at Loughborough University London, as well as promoting the support services available to all students. Throughout the week a variety of workshops and skills sessions will be taking place which are now available for our students to book. It is now standard practice for employers to request that candidates demonstrate knowledge of equal opportunities during interviews and job applications to ensure that they create an inclusive working environment; this includes an understanding of neurodiversity and disability. This workshop is open to all students who want to gain a greater understanding of disability and dyslexia and have real life examples of equal opportunities training to employers. Need to submit a report as part of an assessment, but struggling with its structure? Having to write up a review of the literature, but can’t find what you need? Confused about what a literature review really is? Or simply, not sure how to reference all the research you want to use to support your arguments? If you are struggling with any of these questions and/or more, don’t worry, you are not alone! University Library staff will be at LU London on Tuesday 24th November to lead the sessions below to provide advice in all these areas and also answer individual questions. Please sign up for all the sessions below that could help you, or come along to the Library area to speak to Frank Parry and Sharon Reid about any information-related questions. All workshops can be booked via the Learn module LBP001 (login with your University username and password) or by clicking on the relevant link below. Confused about the difference between a report and an essay? Don’t really know what is expected of you? Come along to learn more about how to write a better report. The information you use in your assessments is the foundation of your work, so you need to ensure you are using academic quality information. Come to this session to discover the best sources of information for your subjects and how to evaluate it effectively. 1pm-2pm: The literature review: writing it up! Once you have collected the information you need for a project, you need to synthesise it in a literature review. Learn how to do this in this session. Referencing causes headaches for many students, but don’t let that be you! Come along to this session to get a good grounding in how to use the Harvard style required of you at LU London and learn some helpful hints and tips to make this easy! Throughout the week your Student Support Managers, Academic Teaching Staff, Professional Services Team and LSU London will be available to answer queries.